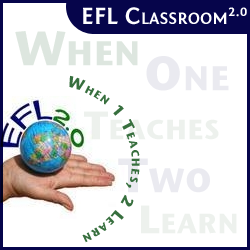 Human emotions are a universal and something that provides great context for teaching how to refer to them in English. Paul Ekman’s work in this area has always fascinated me and brought out the anthropologist in me (I have an honors degree in Anthropology. and considered this as a career at one point in time. It’s come in handy as a person needing to understand language). Lately, I’ve become obsessed with Gif images. 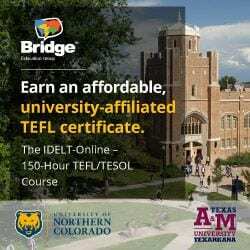 I’m well along the road to producing the world’s first comprehensive directory of these “ideographs” which so completely and non-verbally explain human language and experience. Recently I posted about http://www.gif.gf/– a team of MIT guys I’ve touched base with and who have a unique project identifying the best gifs for each human emotion. Can you guess what emotion is expressed here? Well, I’ve gone one step further, seeing I know gifs so well and mentally and physically am able to pull up the best gifs for teaching the emotions of humans. 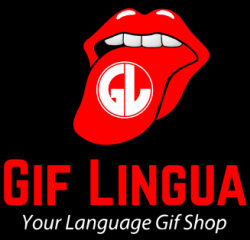 I’ve created 5 books on Gif Lingua detailing the human emotions. Test student knowledge of the noun and verb forms by shutting off the sound/text and going through them. Later, students can study and take the quiz, use the flashcards for each book. I’ve tried to pull out the best gifs available for each human emotion. Let me know if any aren’t really and truly “the best” and could be improved or to you don’t suggest archetypically the emotion. Happy to keep improving these sets! I’ve also created a huge slideshow of these sets on the Gif Lingua Blog. Just play and discuss with students. Will be loads of fun and interest. Also, download this list of the emotions put into handy, teachable categories. You might have students cut them up and see if they can put them under each heading! There was a really interesting article in the NYTimes – June 3rd “Are you in Despair? That’s Good” which talked about how the ability to better identify precise emotional experiences is good for you. The difference between reflecting about climate change and feeling that is “terrible” as opposed to “feel(ing) alarm tinged with sorrow and regret for species facing extinction”. Really interesting! 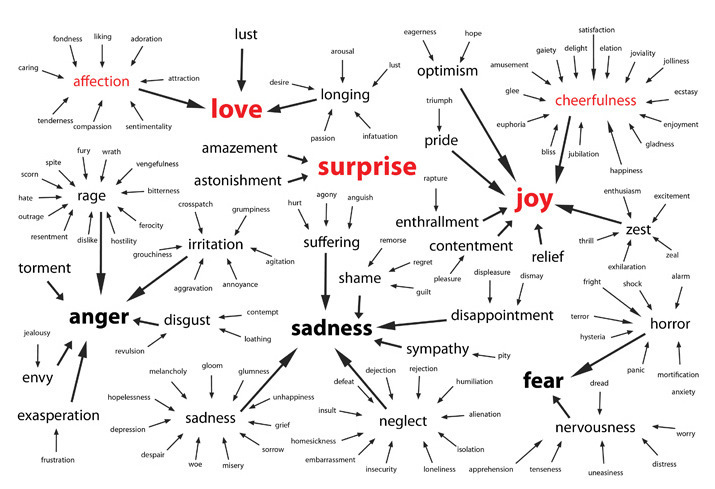 Makes sense this notion of “granularity” and being able to define emotions more precisely. 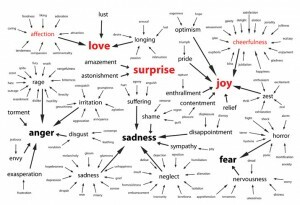 As I look into the world of emotions, there is a lot of granularity and it’s really interesting for example to think of what makes “wrath” different from “rage” or “despondency” from “melancholy” ….